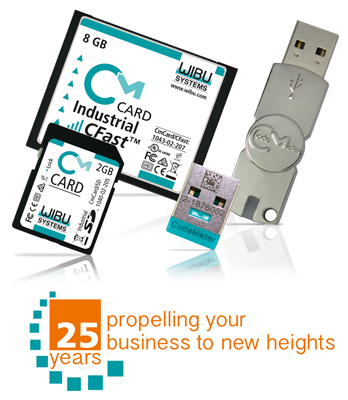 Wibu-Systems celebrates its 25th anniversary with four brand new products: CmStick/C, CmStick, CmCard/CFast and CmCard/SD. 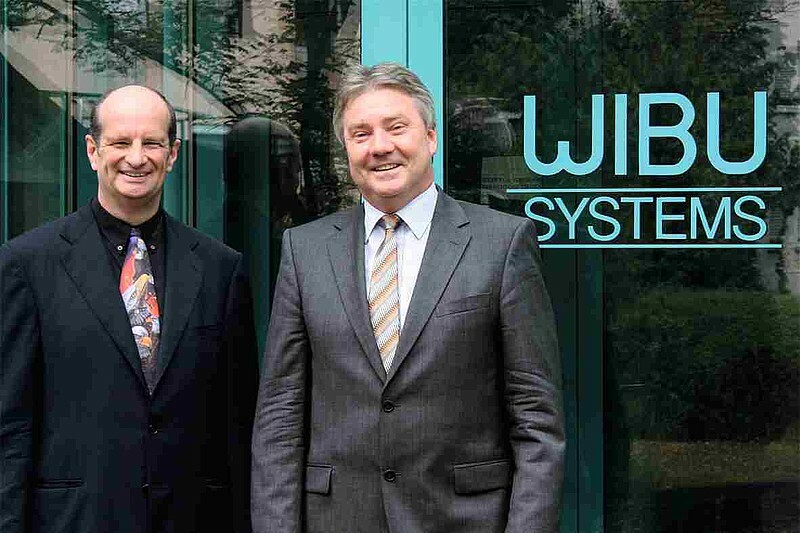 Wibu-Systems GbR (that’s the original name of the company) was founded by Oliver Winzenried and Marcellus Buchheit in Karlsruhe in 1989, with the goal to deliver secure and easy-to-use software licensing and protection technologies to the market. Over the last 25 years, the vision has become reality. Innovation has generated prosperity, which in turn has allowed the company to transform into a private stock corporation and position itself as one of the worldwide top leaders in software protection and licensing. In cooperation with research partners and universities, Wibu-Systems’ management team has set a course for continued growth. Security is paramount, even and especially in smart factories these days: in pursue of this objective, Wibu-Systems AG is currently dedicated to further strengthen protection measures and policies against piracy and manipulation in industrial automation processes. The company’s continuous advancement is also reflected by its increasing workforce, which escalated from the two founders and one employee that were active at its debut, to more than 100 people, including 70 employees at its headquarters in Karlsruhe, Germany, and 30 among its subsidiaries in the U.S. and China, and its sales offices in Benelux, France, Great Britain, Portugal and Spain. The company’s WibuKey protection technology, initially developed in 1989, as well as the more sophisticated CodeMeter solution are cutting edge and adaptable to the unique protection requirements of traditional software vendors and industrial manufacturers for applications such as the protection of CAD suites, logbooks in fisheries, media systems, games, medical devices and automation systems. Presently there are several million Wibu-Systems’ hardware protection units in use worldwide. Throughout its history, Wibu-Systems has pioneered and commercialized many new form factors and protection processes. For example, the company launched the world's first hardware protection for the PCMCIA interface in 1993, and the smallest USB dongle in 2011. Moreover, Wibu-Systems was the only global manufacturer who decided to openly challenge hackers: in an international Hacker's Contest, participants were unable to crack the Wibu-Systems’ protected software. Wibu-Systems distinguished itself by demonstrating the high security standards of its solutions during other competitions as well.